T0 (Torrent-0) is a single-chip fixed-point vector microprocessor designed for multimedia, human-interface, neural network, and other digital signal processing tasks. 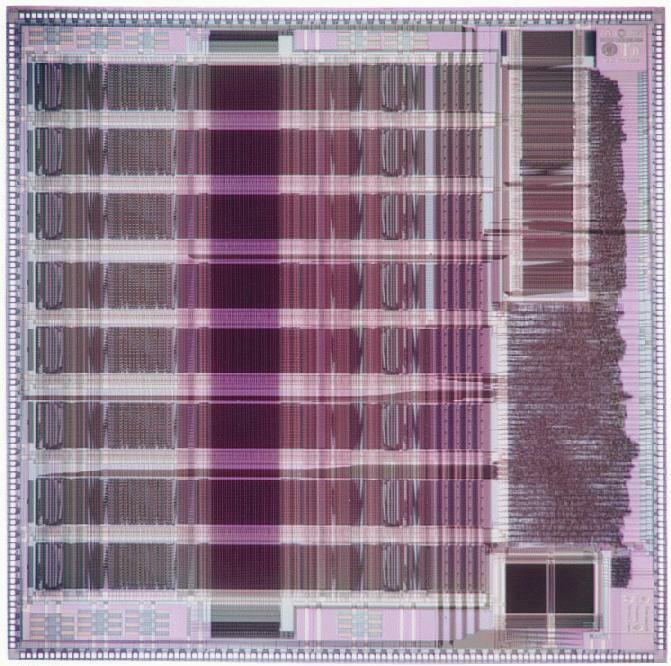 T0 includes a MIPS-II compatible 32-bit integer RISC core, a 1KB instruction cache, a high performance fixed-point vector coprocessor, a 128-bit wide external memory interface, and a byte-serial host interface. 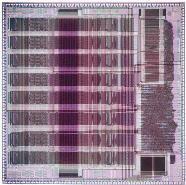 Fabricated in a 1.0 micron CMOS process, the die measures 16.75mm square and contains 730,701 transistors. At the maximum clock frequency of 45MHz, T0 can simultaneously sustain 720 million arithmetic operations per second and 720MB/s of external memory bandwidth, with up to 30MB/s of DMA I/O. The first use of T0 is as the core of the SPERT-II workstation accelerator board. Check out the SPERT song on the Realization Group Playlist! There is some further local documentation only available from ICSI machines. T0 was developed as part of the CNS-1 project in a collaboration between researchers in the Computer Science Division of the University of California at Berkeley and the Realization Group at the International Computer Science Institute. Primary support for this work was from ONR URI Grant N00014-92-J-1617, ARPA contract number N0001493-C0249, NSF Grant No. MIP-9311980, and NSF PYI Award No. MIP-8958568NSF.